Round Bouquet of 10 Yellow and 10 White Roses in a Nice Wrapping. 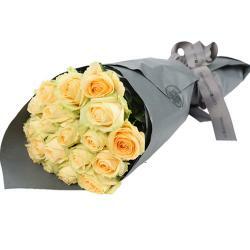 Send this clumps of the finest Yellow and White Roses tied together beautifully to make someone day brighter than ever. 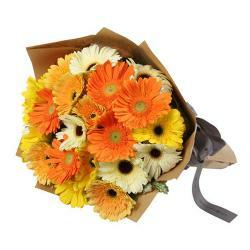 You can send this bouquet to give warm welcome to the new born or Cheer up someone mood with this, Congratulate your loved ones on special occasions like promotions, farewells, anniversaries, weddings and birthdays. 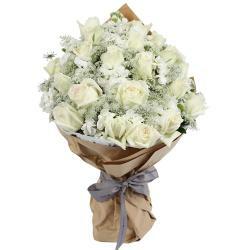 It is made up of Twenty well-bloomed, fresh and pristine Yellow and White Roses that have been arranged in a nice Wrapping. To make the bunch hold its position, a matching ribbon has been tied around it in the shape of a bow. 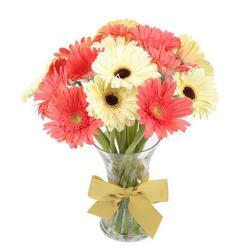 It looks elegant and is the perfect gift to be given to let your regards know to them. 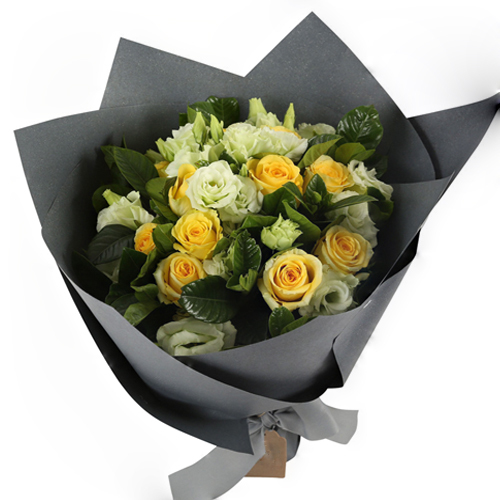 Product Details : Round Bouquet of 10 Yellow and 10 White Roses in a Nice Wrapping.